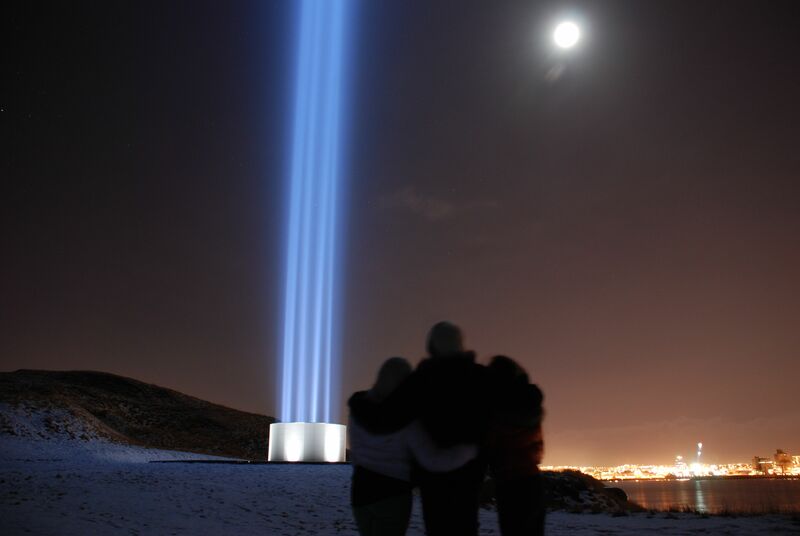 The Illumination of the Imagine Peace Tower to celebrate Yoko Ono's birthday. The Imagine Peace Tower is a work of art concei­ved by the leg­end­ary art­ist, musician and peace advocate Yoko Ono as a beacon to world peace. The work is in the form of a wis­hing well from which a strong and tall tower of light emer­ges. The words ‘Imagine Peace’ are inscri­bed on the well in 24 world languages.